The Chicago Sun-Times is reporting that a bicyclist was critically injured while riding in the 2600 block of North Lincoln in Chicago's Lincoln Park neighborhood. The bicyclist was taken to Illinois Masonic Hospital. Further details were not reported. However, images of this block of North Lincoln clearly show that there are bike lanes on this block. Bike lanes serve two primary purposes: to allow bike riders to understand what part of the street is "theirs" and to serve as warning to motorist that this is an area of the roadway for bicyclists only. Attorney Michael Keating has represented many bicyclists in actions throughout Illinois. 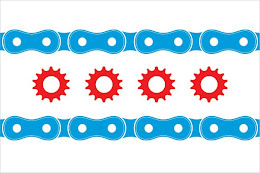 If you have questions regarding bicycle law or personal injury law please feel free to contact Illinois Bicycle Lawyer Mike Keating at MKeating@KeatingLegal.com or 312-208-7702.